A unmanned US plane on a top-secret, two-year mission to space has returned to Earth and landed in California. Pictures released by the 30th Space Wing show it touching down at Vandenberg Air Force Base on Friday morning. any one wants to share their insights or pose any questions on this one ? Posted on October 20, 2014, in Aviation and tagged A top-secret space plane landed safely at a U.S. Air Force base on the Southern California coast after spending two years circling the Earth. 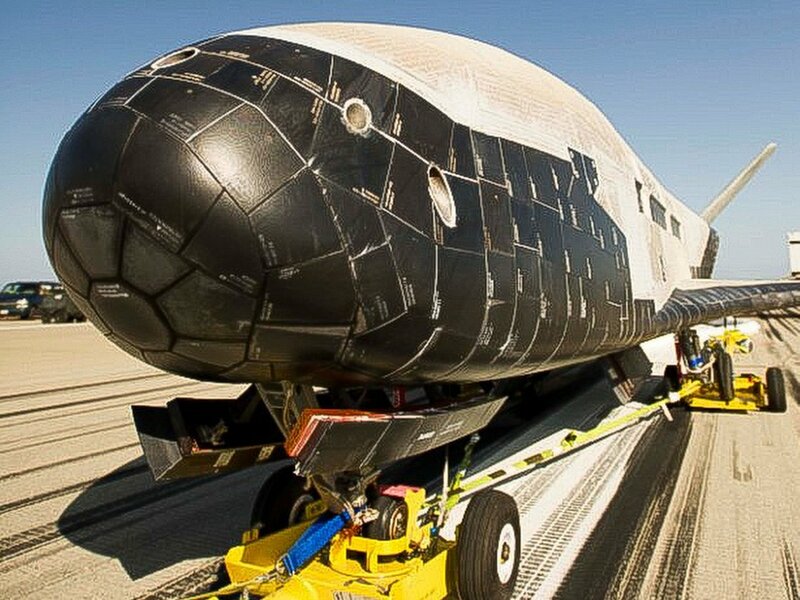 A unmanned US plane on a top-secret, resembling a miniature space shuttle and known as the Orbital Test Vehicle or X-37B, spent 674 days in orbit around the planet. Pictures released by the 30th Space Wing show it touching down at Vandenberg Air Force Base on Friday morning. any one wants to share their insights or pose , two-year mission to space has returned to Earth and landed in California. The aircraft. Bookmark the permalink. Leave a comment.